Coinciding with the beginning of Pride Month, Publisher’s Weekly featured a special section devoted to LGBTQ Publishing. 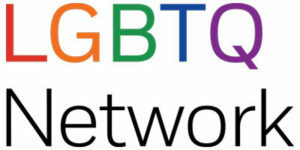 The lead article, “Office Support: Pride Groups at Publishing Houses Bring Employees Together and Advocate for LGBTQ Books,” opened with a fabulous photo of the Penguin Random House LGBTQ Network. Nora Alice Demick, who co-chairs the network with Tan Chan, was quoted extensively throughout the piece. Nora Alice Demick, who works in marketing at Riverhead, Viking, and Penguin Books, co-chairs the Penguin Random House LGBTQ Network with Tan Chan, a designer. They inherited the group from founder Emanuel Xavier, a poet, author, and activist who works in special markets at PRH. 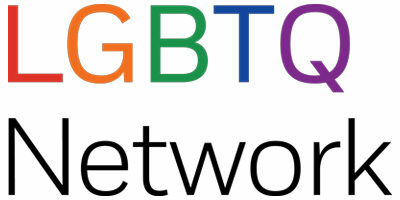 Xavier launched the network in 2011 on the heels of the company creating a video for the It Gets Better project, which supports bullied LGBTQ youths. To read the complete PW article, click here. Feel free to spread the word on social media. A reminder: if you are posting to a personal or other non-PRH account you must include the hashtag #TeamPRH. What were your first reactions to seeing/reading how prominently the Penguin Random House LGBTQ Network was featured in the “Office Support” article as part of PW’s LGBTQ Publishing special section? At the risk of sounding thematic, definitely pride. An overwhelming sense of pride— and excitement, of course! There are many other organizations that are doing such important work and to be alongside them in the article is an honor. How do you think this exposure will help raise awareness of the PRH LGBTQ Network and LGBTQ publishing? Both in-house and externally, I think exposure has been one of our greatest challenges. I’m hoping this article will help us break through some of the noise to reach new employees and other organizations with likeminded goals. In many ways, LGBTQ initiatives in publishing have run under the radar in comparison to other forms of media. Now, PW has introduced not only to the public, but to each other! We’re already brainstorming how we can collaborate and work with other groups. How has the Network evolved since you and Tan took the helm? I think we’ve evolved in a lot of ways— one of our first objectives was adding the “Q” to the end of LGBT, to better represent the many different orientations and gender identities that we have here at PRH. We’ve also grown our board. Tan and I had a lot of ideas (and a lot of enthusiasm!) and quickly realized the difficulties of trying to accomplish so much with just the two of us. We interviewed candidates and brought on a Design Chair, an Advocacy Chair, a Social Chair and an Uptown Chair, each with a specific skill set to help us develop in new areas. We think we have a more consistent presence then we had in the past, while also building an online footprint to connect with the greater queer community (shameless plug: follow us on Instagram @prhlgbtq!). And we just want to keep expanding our Network– in-house and beyond. Where would you like to see the PRH LGBTQ Network go from here? First and foremost, the roots of our network are the diverse employees of PRH, and that’s always going to be where it starts– connecting employees, making sure they feel heard and safe. We want to grow our monthly activities to be more varied, we want to sponsor more networking events and we want our email distro to reach 30 million subscribers before corporate does (just kidding)! There are so many incredible diversity initiatives happening company-wide— we are working on finding our place in this larger ecosystem. As queer topics/titles become more prominent, we want to help PRH navigate this new reader landscape and as I mentioned in the article, we’d love to one day have imprints reach out directly to us every time they publish an LGBTQ+ book, or acquire a queer author. In the immediate future, we will be marching in the NYC Pride March on the 24th, which we are very excited for.